Before lighting up you must advise your neighbours 24 hours in advance. You must advise the local Rural Fire Service Control Centre (Shoalhaven Fire Control Centre phone number is 024424 4424) that you intend to light a fire at least 24 hours in advance. Heavy fines (in excess of $1000) can be implemented for not complying with the above. Just because the bush fire season is over does not mean we should be complacent and we have included the following information which you should consider. Now is a good time to think about and plan what you would do with your pets and animals in the event of a bush fire. Whatever you decide to do, you should have your property prepared and a current Bush Fire Survival plan in place. 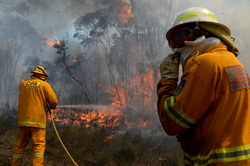 Your Bush Fire Survival Plan must include the wellbeing of your pets and animals. 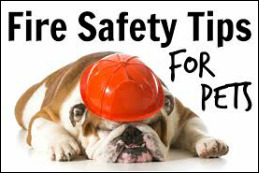 The safety of your pets and animals are your responsibility. 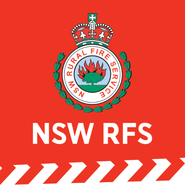 The purpose of these pages is to provide a source of information on services available from the NSW Rural Fire Service, and a means of communication for the community and members of the Conjola Volunteer Bush Fire Brigade. We would like feedback on the site, or articles that you think will be of interest to the community, so please let us know what you would like us to include on this site because we want it to be a valuable information source for the community and volunteers. We will add further topics of information as the page is developed.